Much like any one of Denison’s previous eight records, this ninth record started as a collaboration. He and fellow producer/engineer Devin Greenwood casually started working on an EP. A few months later, his dad passed away. Denison grieved with his family, and remembered. He returned to the studio with a new approach to the EP he had first started building the previous winter. What began as an EP grew into a full-length album, as Denison added songs that reflected the changes in the intervening year. Denison’s albums have always been markedly personal, each one a significant milestone in his life. But The Ones Who Wait marks a whole new level of intimacy with listeners. Getting married, starting a business, and watching his dad close the final chapter on his life have helped Denison tell his own story better, to be more delicate, and confident. Bringing things full circle, as he wrapped up post-production on The Ones Who Wait, Denison found out he was going to be a father too. The sound of The Ones Who Wait indicates a new maturity in Denison’s musical career, a subtle sense of confidence in his voice and music. His guitar and voice sit front and center in the sound, evoking a melodic warmth reminiscent of 70s-era singer-songwriters like Paul Simon and Jackson Browne. Denison reined in his well-established network of musicians to fill out the sound of the record, including CJ Camerieri (Bon Iver, Rufus Wainwright), Devin Greenwood (Norah Jones, Amos Lee), James McAlister (Sufjan Stevens), Charles Staub (Melody Gardot), and Rosie Thomas. 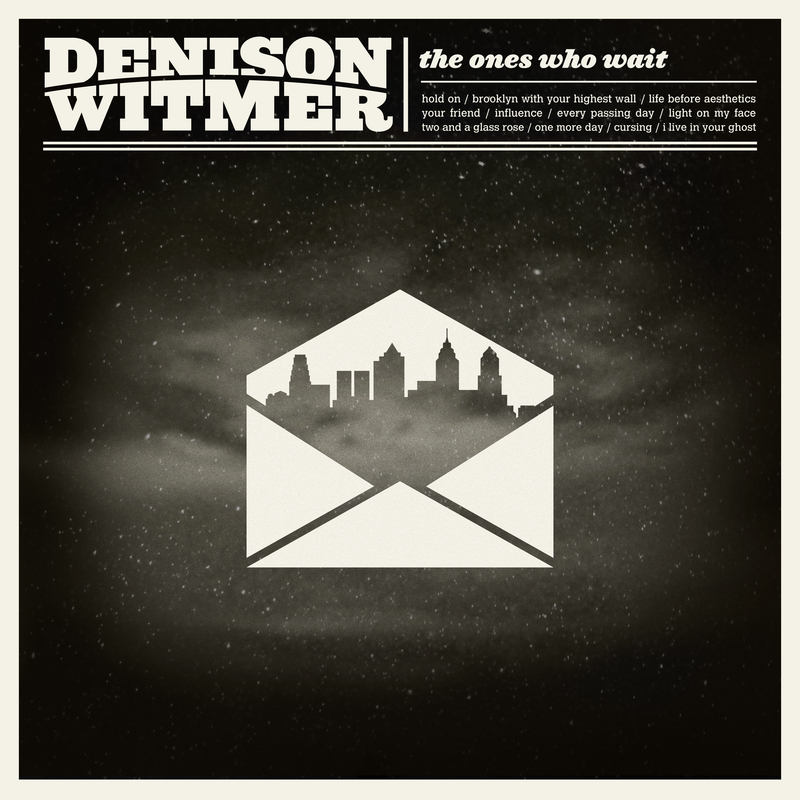 The Ones Who Wait is also Denison’s first release for Asthmatic Kitty Records, whose employees and much of its roster have been long-time fans and collaborators with Denison. Asthmatic Kitty will also be releasing a “part two” of the record later in the summer of 2012. Put all together, the album marks a big change for Denison: a life without his dad, a new label, a new worldview as a parent. As Witmer looks forward to the next phase of “the cyclical life” of writing-recording-touring, he is philosophical, as always, but confident about releasing an album in an overcrowded marketplace.